A very useful perception to add to your mental toolkit for painting is the ability to see COLOR AS TONE’. 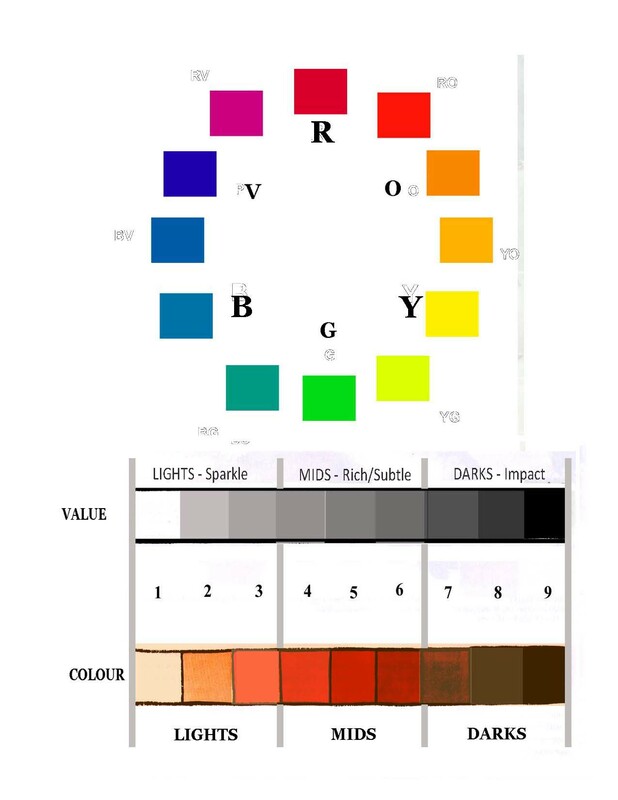 (‘Tone” can also be called tonal value, value, light-dark on gray scale) . The ‘lights’, or light tones, create piccolo sparkle, ‘mids’ create violin richness/sublety, ‘darks’ create tuba gravitas. Deduct the lights and you have somber/moody. Deduct the mids and you have a kind of annunciation, readable from afar, but not all that interesting up close. Deduct the darks and you have ‘ethereal’, pixies dancing at twilight. Together and they give a full orchestra – but there is still the problem of ‘dominance’ – equal amounts of piccolo, violin and tuba are boring.